In 1998, Gloucester County received a $50,072 grant to expand the pier located on the York River at Gloucester Point. The L-head pier was converted to a T-head, by the addition of a new 100-foot section of pier. There is handicapped parking near the walkway and the new section is ADA compliant. This pier has no fee and is covered by a blanket pier license, so an individual saltwater license is not required. 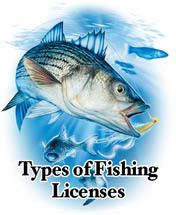 This is a very popular site and provides nice catches of croaker, spot, flounder, striped bass, and gray trout. The pier is located off of US Route 17 at Gloucester Point Beach. The pier is situated next to the Coleman Bridge and the campus of William & Mary College, Virginia Institute of Marine Science (VIMS). From the southside / Yorktown: There will be a $2.00 toll after you cross the Coleman Bridge. From US Route 17 north, turn right (traffic light closest to the bridge) onto Route 1206 (Lafayette Heights); turn right onto Route 1208 (Greate Rd), go through the VIMS campus and to Gloucester Point Beach. The pier will be on the lefthand side. From Gloucester: From US Route 17 south, turn left (last traffic light before bridge) onto Route 1206 (Lafayette Heights); turn right onto Route 1208 (Greate Rd), go through the VIMS campus and to Gloucester Point Beach. The pier will be on the lefthand side. Gloucester County Parks, Recreation and Tourism Dept.